Has Rain bitten the dust? Ratings for My Lovely Girl have not fared well in his return to the small screen after a four-year hiatus. HAS South Korean pop icon Rain lost his charm after serving military service and admitting to his relationship with fellow actress Kim Tae-hee? The Asian superstar, who was named by Time magazine in 2011 as the world’s 100 most influential people, recently made a comeback to the K-drama scene albeit to a new low in ratings. The series My Lovely Girl made its Sept 17 debut on the SBS Channel to much fanfare. 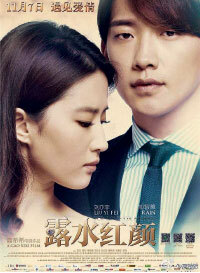 It was a much-awaited release to the small screen after Rain’s last drama The Fugitive: Plan B in 2010. With the K-pop world as the backdrop, My Lovely Girl tells the story of two individuals who are hurting and try to find healing through music. 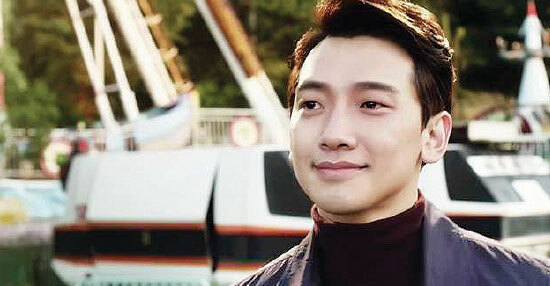 Rain, 32, takes the lead role of Hyun-wook, a composer and producer of an entertainment company. After losing his girlfriend in an accident, he then meets and falls in love with the deceased’s younger sister Se-na (starring Krystal Jung), who dreams of becoming a music producer. Rain reportedly accepted the casting offer as soon as he saw the script. The 16-part series ended its run on Nov 6 with a 5.6% rating, according to Chinese media reports. Its debut episode started slightly stronger at 8.2%, gradually seeing a decrease with each episode. The average rating of My Lovely Girl was a mere 6.4%. Rain is joining hands with Chinese A-lister Liu in his first Chinese movie For Love or Money, which has just been released in China. On the other hand, The Fugitive: Plan B achieved an average rating of 11%, with the highest hitting 22% for an episode. The media have been quick to pose the million-dollar question: Is one of the biggest names in the K-pop world fading away, dragged down by the mandatory two-year military service? Rain enlisted in the military from October 2011 until July 2013, thus putting on hold all his world concert tours, endorsement deals, album releases, as well as movie and drama productions during the period. Matters took a turn for the worst when the paparazzi exposed his love life. Early last year, it was uncovered that Rain was dating 33-year-old Kim — the star of K-drama’s My Princess and Iris — when he was supposed to be away from his military base camp to carry out official duties. It was a clear violation of rules and to quell swirling accusations that the government was meting special treatment to celebrities serving in the military, the defence ministry quickly penalised Rain with “a one-week confinement” in the camp. Despite these setbacks, one thing for sure is that Rain is not giving up just yet. He is currently involved in his first Chinese film project with A-lister Liu Yifei. They are to star in romance flick For Love or Money, which was released across cinemas in China on Nov 7. It remains to be seen how Rain’s efforts in breaking into the lucrative Chinese movie industry will reflect in box office.